“Regardless of the circumstances and without compromise . . . .” (see reblogged post below). If we consider ourselves to be Christian, do we live our life in such a way that regardless of the circumstances we find ourselves in we will not compromise what we know is truth in the way we live our life? Do we go along with the crowd, even a church crowd, just to be a part of the group even if they compromise on standards we know to be unfaithful to God’s Word? There’s a lot of that going on in our culture. Living in darkness while pretending to proclaim the light has never worked and it never will. 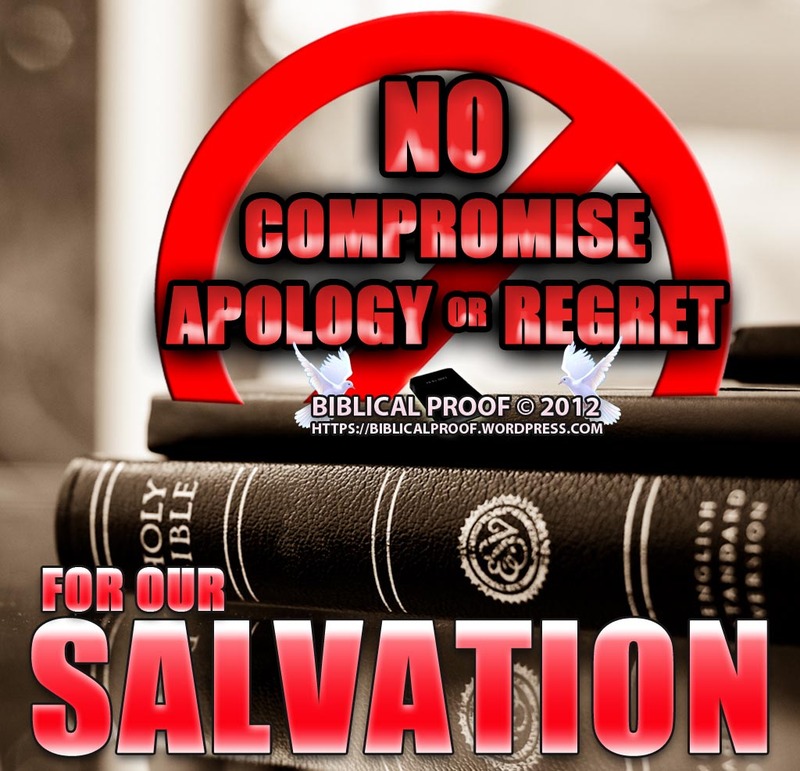 And our compromise will clearly show to an unbelieving world that we really don’t believe what we say we do, so why should they take the Gospel of Jesus Christ seriously? Our actions do speak loudly and it’s not just about what we want at any given moment. We are God’s image bearer to this world and the image we project clearly shows just who we do–or do not–belong to. We need to think long and hard before we fall into temptation just because it feels good and everybody else is doing it. The price we’ll pay is absolutely not worth it. Paul did not want Timothy to suffer the same identity crisis that was filtering through the Christian community in Asia Minor. Just as Paul preached that there was only one Gospel, there were false teachers teaching that there were other ways to know God. Paul wrote to Timothy to admonish him not to be ashamed of God’s truth. He was to preach the Word of God “in season and out of season” (2 Timothy 4:2). In other words, Timothy was to be prepared to teach God’s truth regardless of the circumstances and without compromise. He was to teach it according to what had been given to him through the apostle Paul. There was no provision for false doctrine. Timothy was to preach God’s Word with conviction no matter who stood up against him.